From Amanda Stanton's arrest to Jordan Kimball and Jenna Cooper's breakup, there's been a lot of news surrounding Bachelor Nation. 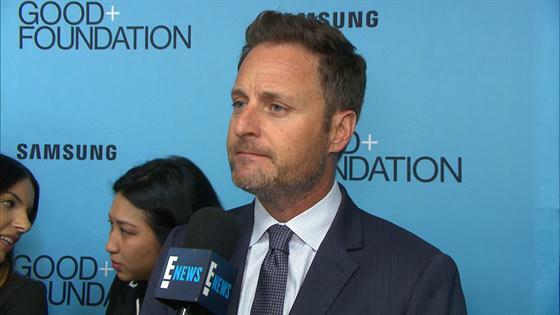 While fans have certainly been concerned, nobody seems more protective of these reality stars than the franchise's host, Chris Harrison. "They are like my kids," he said at Wednesday's Good+ Foundation "An Evening of Comedy and Music" Benefit, presented by Samsung Electronics America. "I do care about these people. I try to take as much care of them as I can." He also suggested that he's more focused on helping the former cast members than creating TV moments. "There's a certain time—and this is it—where the cameras stop rolling and [there's] the human side, where we just want to take care of these people and make sure Jordan's OK, and make sure Jenna's OK and help them. And it's not going to be seen on a special," he said. "They're just human beings that are dealing with a pretty crazy situation right now, whatever it turns out to be. So, I do get involved in them." Speaking of the former couple, fans watched the duo get engaged on the season five finale of Bachelor in Paradise. But on the day of the episode, rumors started spreading that Cooper had been unfaithful to Kimball. While Cooper denied the allegations, Reality Steve published screenshots of texts allegedly exchanged between Cooper and an unidentified man. In the messages, she allegedly wrote "Me and Jordan aren't together for real. I don't even like him let alone love him. I'm better than him and once I'm able to I'll break it off for good and make up some story to make him look bad if it'll make you feel better. He means nothing to me and never has." While E! News has not been able to verify the messages, Reality Steve claimed the phone number matched Cooper's. Kimball also suggested the messages seemed to be sent from his former fiancée. The two have sense ended their relationship. Harrison admitted he hadn't spoken to the couple since the news broke; however, he said he was "shocked at the whole thing." "All I can say is 'God, I hope it's not true,'" he said. "What a horrible mess and deceit." As for the news surrounding Stanton, the reality starlet was arrested for domestic violence earlier this week and was accused of getting into an altercation with her boyfriend Bobby Jacobs. Stanton's rep told E! News she was "embarrassed and ashamed this happened." "I don't know how a 70 lb. girl beats anybody up," Harrison said. "But from her statement, [it was] a misunderstanding. He seems fine. She seems fine. Again, my hope is that it's a misunderstanding." On a lighter note, the TV host was also able to weigh in on Colton Underwood being the next Bachelor. He said he expects the former football player's virginity to be a "big storyline this season." He also said he enjoys "tackling social issues like that" and analyzing if there's a "double standard" for when there's a female virgin on the show versus a male virgin. To hear him discuss more Bachelor news, watch the video.